The ongoing nationwide crackdown of activists in China has brought bad news every day. Within three weeks, more than 60 intellectuals and rights defenders have been detained. Among them are rights protection lawyers Pu Zhiqiang (浦志强), Liu Shihui (刘士辉), Tang Jinling (唐荆陵), Xia Lin (夏霖), and Yu Wensheng (余文生); pro-democracy rights defenders Yuan Xinting (袁新亭), Wang Qingying (王清营), Master Shengguan (圣观法师), Xie Wenfei (谢文飞), Yang Chong (杨崇), Jia Lingmin (贾灵敏),Guo Yushan ( 郭玉闪), Kou Yanding (寇延丁); journalists and scholars Gao Yu (高瑜), Xu Xiao (徐晓), Tie Liu (铁流); documentary filmmaker Shen Yongping (沉勇平); artists Wang Zang (王臧), Zhui Hun (追魂), Xu Guang (徐光), etc. Some see this crackdown as a sign of the out-of-control misuse of police force and power by the political and legal system. Some attribute it to the spillover of factional conflicts in the central government. Some others have interpreted it as an emergency measure by Xi Jinping to solidify his own power. I venture to disagree with all these views. The starting point of this wave of large-scale suppression of civil society is not the detention of the “Five Gentleman of May 3” this year, but can be traced back to the detention of the “Four Gentlemen of Xidan” last year. On March 31, 2013, [the “Four Gentlemen”] Yuan Dong (袁冬), Zhang Baocheng (张宝成), and two others [Li Wei (李蔚) and Hou Xin (侯欣)] were taken away by police on the spot when they were giving a speech in the Xidan commercial area of Beijing calling for public disclosure of officials’ assets. This incident raised the curtain of the authorities’ crackdown on the New Citizens Movement and China’s civil society at large. Over the course of less than two years, more than 500 rights defenders around the country were taken into custody, including Xu Zhiyong (许志永), Wang Gongquan (王功权), Guo Feixiong (郭飞雄), Li Huaping (李化平), Chen Baocheng (陈宝成), Zhang Lin (张林), Ding Jiaxi (丁家喜), Liu Ping (刘萍), Yuan Fengchu (袁奉初), and many more. In particular, renowned rights defender Cao Shunli (曹顺利) was tormented to death by the authorities. Ilham Tohti (伊力哈木) was also given a life sentence. The crackdown does not only target rights defenders. The suppression aimed at dissidents, underground churches, Falun Gong practitioners, petitioners, Internet activists, and liberal scholars has clearly intensified. And the control of information dissemination and ideology has clearly tightened. While this crackdown wave has not taken the form of that in the period of the Jasmine rallies of 2011—including large-scale abduction, secret detention, and torture (escalated emergency stability maintenance measures)—it has far exceeded the latter in terms of duration, area of impact, number of detainees, and severity of punishment. We can definitely say that the two years since Xi Jinping came to power rank as China’s most brutal period of repression of civil society by authorities since the 1989 Tiananmen massacre. Ever since he took office, President Xi Jinping has made evident attempts at changing the approach to handling civil society. One can locate the starting point of this change in the 2013 “Four Gentlemen of Xidan” incident. In the course of the crackdown, in collecting information, observing civil society’s reactions, exploring and experimenting with new tactics, the authorities have continued to strengthen this new approach. One can call this change a transition “from the stability maintenance-and-control model to the rooting-out model,” or “from the control model to the wiping out model.” The new approach is by no means contingent in nature or incident-specific, but, rather, it is characterized by planning and procedure. Instead of specified individuals, it targets the entire civil society. Previously, the targets were those who crossed the red line, stood out, took to the street, or engaged in organized actions. Now, the trend seems to be netting everyone in one fell swoop. Everyone who is active, influential, and able to take actions may be on the target list. Being detained during a specific incident doesn’t mean that the incident is the reason for the detention. Rather, the detention waits for an excuse, an opportunity, to be carried out—as if it is settling old scores, once and for all. While the previous approach aimed to punish individual “line-crossers” and to maintain the superiority of the stability maintenance strength, the current practice is to eliminate all nodes of connectivity in civil society, nip all emerging civil society leaders in the bud, and completely destroy the capability of civil resistance. Since last spring, one can see from the large scale of detentions and the severity of the repression the authorities’ determination to eliminate civil society’s strength of resistance. Or at least check the momentum of Chinese civil society’s steady growth and quiet expansion over the past decade. Xi Jinping is not China’s Gorbachev, but the ideological heir of Maoism. Democracy and Constitutionalism have no place in his value system, as one can deduce from his vantage point as a princeling, his educational background, his immersion in the crucible of Communist Party culture throughout his career, and the speeches he has given before and during his presidency. He said that “China does not export revolution” and that “people cannot deny what was done before the reform and opening-up based on what happened after it, and vice versa.” His administration exerted greater ideological control by circulating the “Seven Unmentionables” and Document No. 9. All of this, along with Xi’s “August 19” speech, visit to Hunan—Mao Zedong’s home province—and assuming the chairmanship of the National Security Commission—lays bare the new CPC Secretary General’s position and ambition. It’s thus time for public intellectuals to abandon any false hope for the regime’s change of heart. The Economist magazine was shrewd to call it like it is: they attired President Xi in a dragon robe on its cover. Yet even the clout of an emperor is nothing compared to the Maoist monopoly of power. Maoism, one-party rule, and the eternal dominance of the Red Communist Party over China are the universal truths for Xi. In fact, Xi’s belief is no different than that of his predecessor Hu Jintao, but Xi has greater motivation, prowess, confidence, and less restraint and hesitance in his action. This is already evident in the attack he already launched against the “Black Five”—right defense lawyers, underground churches, dissidents, leaders of online activism, and vulnerable groups. More important, in the eyes of the government and Party leadership, the failure to carry out “extraordinary deterrence” against and deliver destructive blows to civil society and opposition forces as represented by the “Black Five,” would present a “clear and present” threat to the so-called “people’s interests and social stability,” which in essence means the legitimacy and interests of the Party. Yet China’s civil society already possesses the foundation for self-regeneration and is capable of steady and healthy development. This, on the one hand, is the cumulative result of the Internet, marketization, globalization, legalization, growing citizenship consciousness, and social movements. On the other hand, it is a testimony to the current regime’s innate illegitimacy, the current system’s constant infringement on citizen’s rights and continuous conflicts and clashes with the people, the waning appeal of the current ideology, the continuous environmental degradation, and the continuous crises generated by the current development model. This is the larger context that has propelled China’s civil society forces and forces promoting freedom and democracy on an upward spiral, in a trend so powerful that it seems unstoppable despite the will of the Chinese leaders. The process will surely be a tortuous one, with setbacks, adversities, and sacrifices. More people will have to pay a heart-wrenching price, and bad news will reach us time and again. Nevertheless, we should keep in mind the larger sociopolitical context that I just described because the same crises that have prompted the Chinese government to adopt a new coping mechanism are also the very reason why this new approach will never succeed. The five activists—Pu Zhiqiang, Hao Jian, Liu Di, Hu Shigen, Xu Youyu—were criminally detained after taking part in a seminar commemorating June Fourth held on May 3 in Beijing. The “Seven Unmentionables”—universal values, freedom of the press, civil society, civic rights, historical mistakes committed by the Communist Party of China, elite cronyism, and independent judiciary—were listed in Document No. 9, which was issued by CPC Central Committee’s General Office on April 22, 2013. Xi Jinping made a speech on August 19, 2013 emphasizing the need for control over public opinion, propaganda, and the Internet. 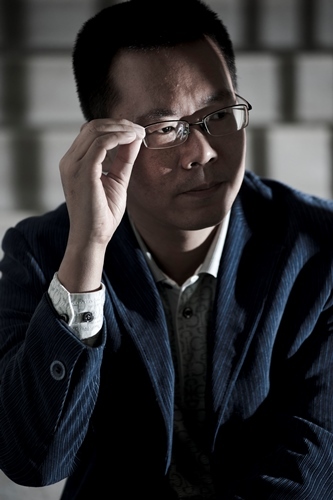 Dr. Teng Biao (滕彪) is a lecturer at China University of Political Science and Law, founder and president of China Against the Death Penalty, co-founder of the Open Constitution Initiative (Gongmeng), and is now a visiting scholar at the Chinese University of Hong Kong. He has provided counsel in numerous human rights cases, including those of Chen Guangcheng, Hu Jia, and Sun Zhigang. Also in "Forces at Play for Rule of Law"